"Jay Auen as a student and as an instructor is an example to be followed. Always trying to learn and always doing his best to help people learn the sport and the art Jiu-Jitsu is - trying to make his students better people. That is what makes him the great martial artist he is." "Jay is a great martial artist who is very knowledgeble and open minded. Over the years Jas has accumulated experience by training with the best practitioners around. Too often, you see many who are complacent with their skills and aren't willing or committed to learning more. Jay purposefully goes out of his way to stay on the cutting edge and at "All Sport Martial Arts" he will always help you strive to become better and assist yo in ascending the ladder of excellence. “My boys, Connor & Aidan, have been attending All Sport for 7 years and they really enjoy the classes, and their skills have really improved. I think it really helps them with their self-discipline and self-confidence. Gina and Jay talk about respect for yourself and others in every class and really know kids. The kids have a blast and learn skills along the way. All Sport also offers a summer and school break Day Camps that offer a variety of different activities and fieldtrips. They also have an After-School Program where they pick kids up from local schools and take them to All Sport to attend class. They are conscientious and caring, and I always feel my children are safe with them." “Totally family enviroment. They have four children of their own - three that help and participate with the kids. This studio has you and your childs best interest at heart. They teach your child discipline and control. They keep your children accountable when it comes to respecting parents orders and doing their homework as well as listening to their teacher. They aren't strict but kids really respect them and never give them a hard time. They teach all ages and make it fun. 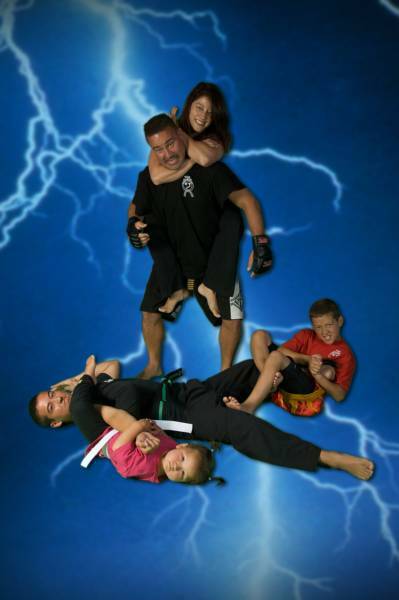 I highly recommend this martial arts studio for you and your family."